You could argue that in the Australian craft beer industry there was the period BP and one AP – Before Pacific Ale and After Pacific Ale – such has been the impact of Stone & Wood's all-conquering flagship beer. Students of the local beer world will be aware that BP there was Draught Ale, the beer's original name. But it turns out that, even before that – at least in trial form – there was another beer, the "Father of Pacific Ale". So, as the brewery closes in on its tenth anniversary, they've decided to give drinkers a taste of what came before. 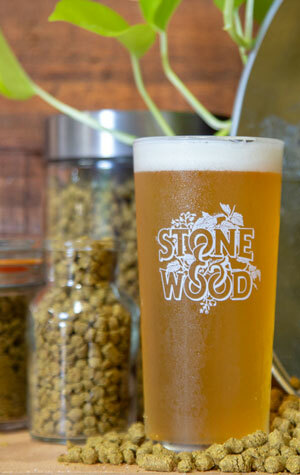 The beer is The Prequel, a hazy pale golden beer that is a showcase for Galaxy hops, just like the beer it spawned. There are two key differences: this beer is 50 percent bigger in terms of booze and has 25 times as many hops at play, almost all added in the whirlpool to extract as much flavour and aroma as possible. The impact is a beer that's like Pacific Ale on steroids and growth hormones: dense passionfruit and citrus aromas – with perhaps a touch of grassiness – and heaps of tropical fruit flavours. The heavy hopping creates an almost grippy, resinous texture, albeit one that's kept in the background of a beer that's light on its feet – even at close to 7 percent ABV – and likely to disappear from the bars it's hitting in no time at all.